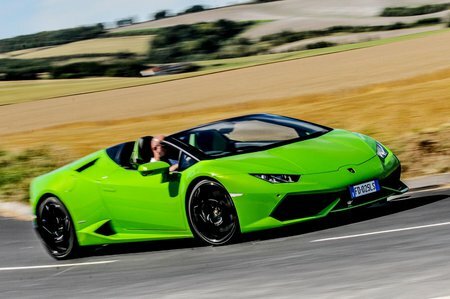 Lamborghini Huracan Spyder Running Costs, MPG, Economy, Reliability, Safety | What Car? This is a supercar, so if you’re worried about costs you should probably revisit whether it’s right for you. However, even supercar buyers want to know they’re getting reasonable value, and the Huracán Spyder is competitive on most fronts. It’s priced similarly to open-top rivals from Ferrari and McLaren, and while it does look very pricey compared with the Audi R8 Spyder, the Lamborghini badge and general road presence have always been deemed to be worth a lofty premium. Depreciation is always the biggest pitfall on these cars, and the Huracán Spyder doesn’t stack up too well against its rivals. A Ferrari 488 GTB, for instance, will be worth more after three years, despite costing virtually the same initially.